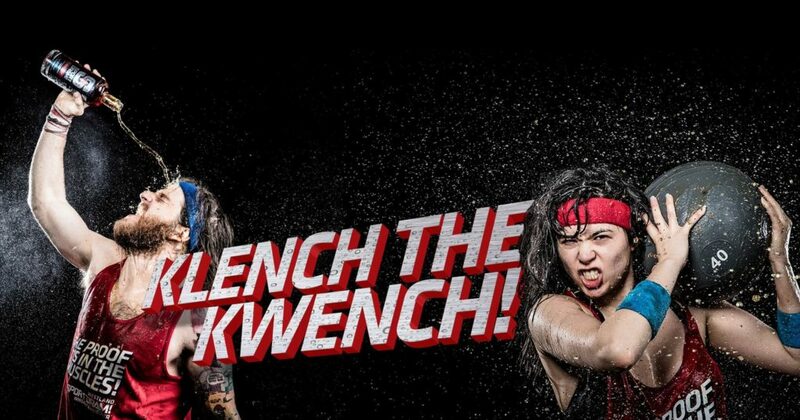 One of the most prominent producers of American single malt whiskey has just unveiled its newest surefire smash hit: Sport Dram, the Whiskey Kwencher. 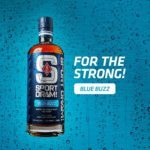 Billed as “a whiskey for winners,” this is the whiskey workout drink you’ve been waiting for, and it’s ready to help whip you into shape. This is an authentically aggressive whiskey. No matter which muscular color you choose, it will be a demanding dram. For the furious, not the faint. Nose: Raw relentless reek, aggressive ash. Palate: A perpetual pummeling of peat power. Of course, I needed to check this out for myself. 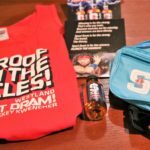 So I strapped on my blue neon Sport Dram fanny pack, put on my “proof is in the muscles” tank top, and then slugged some Sport Dram before hitting the gym. I crushed it, and if I can do it, then so can you. “Winning is for the strong. That’s why you train. Because muscles are for winning. And winners are born thirsty. 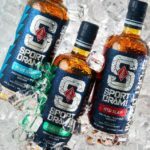 Sport Dram is for the strong. The brutal. The thirsty. 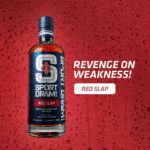 For more on Sport Dram, check out its official site here. Westland isn’t the only boozy prankster this year, either, with Jägermeister also getting in on the fun. You’ve been to the bar and had a Jäger Bomb? 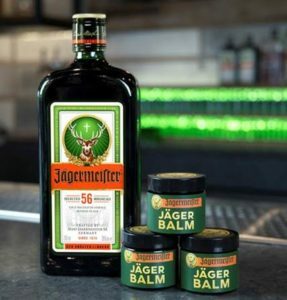 Well, now it’s time to heal your wounds with some Jäger Balm! Who knew that they’d actually work so well together? 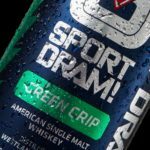 Go get ripped in the gym with Sport Dram, and then mend your massive muscles with some Jager Balm. Win-win! I’m Jake, and I’m your host on this journey. I'm the man doing the eating and the talking around here. 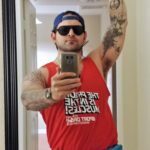 I’m a freelance journalist, and I'm also talking whiskey, travel, and other assorted misadventures. 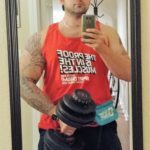 Follow me on the Tweet Machine - @ManTalkFood, or send an email to jake [at] mantalkfood.com.